The East Grand Forks Water and Light now offers Subsidized Home Energy Audits to those interested in identifying what measures may be taken to make their home more energy efficient. The audit will show the home owner problems that may, when corrected, save you, the customer, significant amounts of money over time. 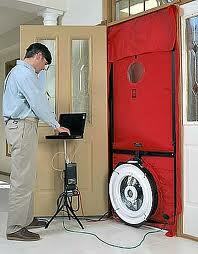 Standard Audit - includes a Blower Door Test and a walk through assessment by our Energy Auditor. The cost to the customer for this audit is $100.00 (actual cost - $200, but the Water and Light pays for half). The $100 charge is added to the customer's utility bill. Infrared Audit - includes everything in a Standard Audit plus infrared scans that show surface heat variations and air leakage in building envelopes. The cost to the customer for this audit is $150.00 (actual cost - $300.00, but the Water and Light pays for half). The $150.00 charge is added to the customer's utility bill. 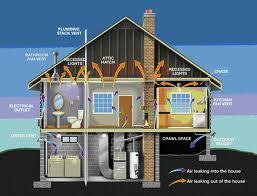 Please click HERE to download our Energy Audit Brochure. If you want, you can do your own Energy Audit by using this Online Energy Audit from the Deptartment of Energy. It will help you identify the best way to manage your home energy consumption as this resource calculates home energy used based on detailed description of your home, its appliances and geographic location.